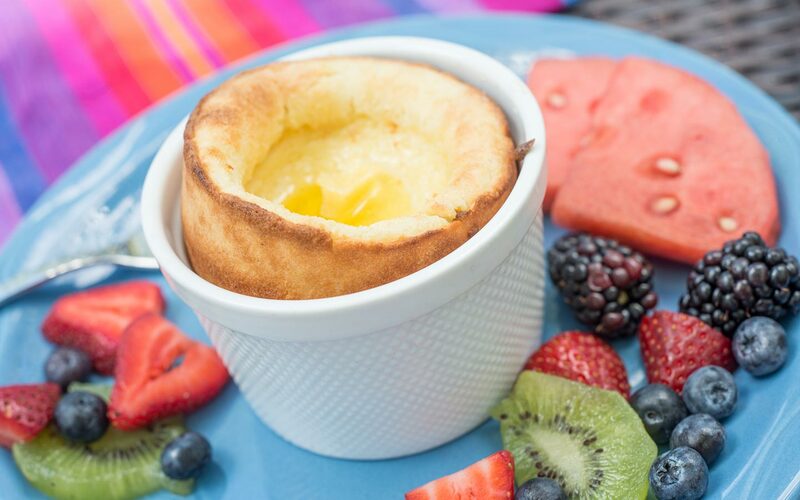 Our bountiful breakfast in Santa Fe is served from 7:30 am to 9:30 am each morning with coffee available by 7:00 am. Before 7:30 am or after 9:30 am tea and coffee service is always available. We pride ourselves on creating a comfortable breakfast experience focusing on innovative comfort food that is never pretentious or precious. We creatively accommodate guests’ dietary preferences by providing vegetarian, vegan, or gluten/dairy free options when notified at the time of booking. 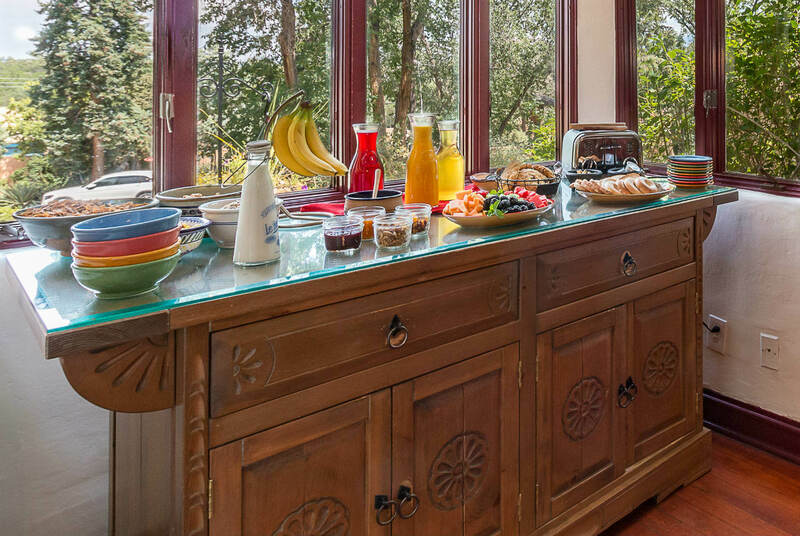 Inn guests enjoy a hearty multi-course breakfast which includes coffee, tea, juice, fresh baked goods, cereals, yogurts, and seasonal fruit either served or presented on our ample breakfast buffet. Then comes a fresh made fruit smoothie-starter followed by a hot served entrée such as blue corn pancakes with piñion butter, artichoke & potato frittata with turkey sausage, Dutch baby pancakes with house made lemon curd & blueberry compote, or classic Quiche Lorraine with spring greens & asparagus salad. Each day guests have the option of eggs made to their preference or huevos rancheros rather than the entrée of the day if they prefer. 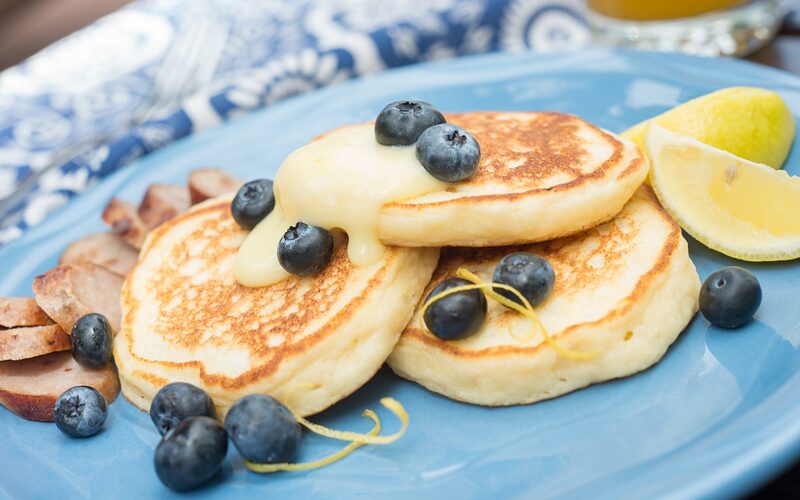 No time for a sit-down breakfast? 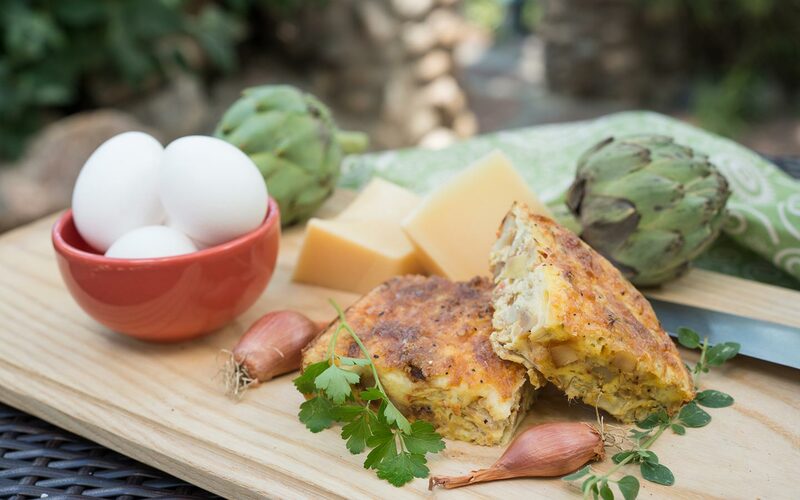 We are pleased to provide guests a continental take-away breakfast to watch the sunrise from our nearby mountain trails or to catch an early flight. Just let us know upon booking or check­-in. 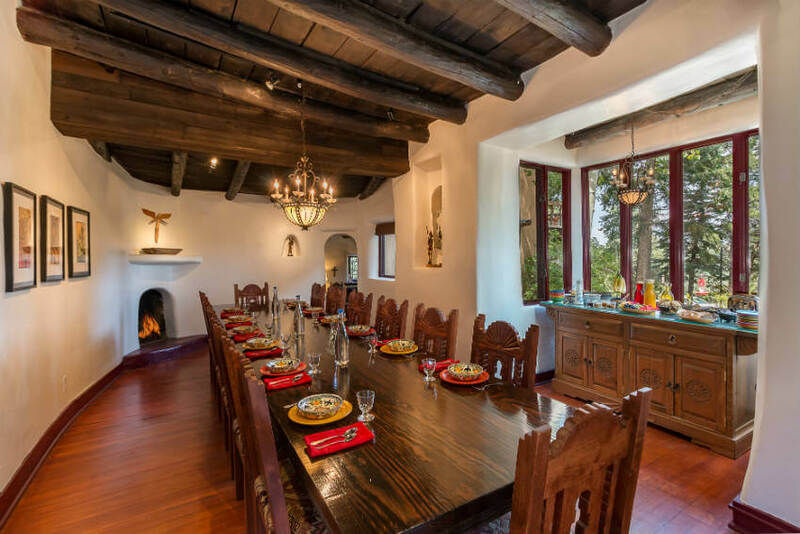 Guests have so many options for an incredible Santa Fe breakfast at our unique adobe estate! 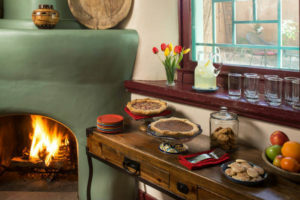 Return to the Inn from a day of exploring Santa Fe and our Land of Enchantment to enjoy our house-made baked goods and treats. Enjoy them in our living room, on one of our many outdoor patios, or take them back to your guest room. 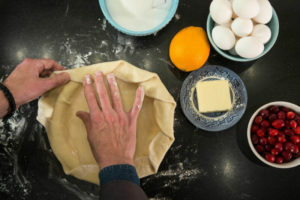 Friday is Pie-day at the Bear where we indulge guests with one of our fresh baked pies. 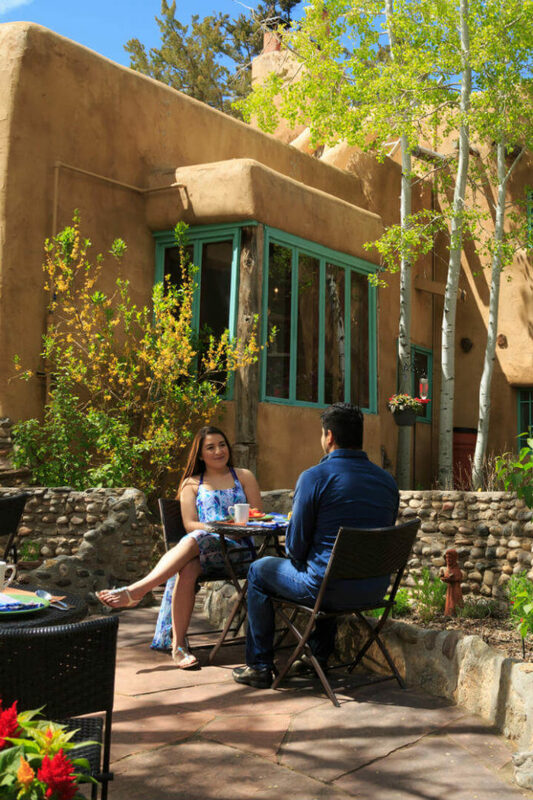 Enjoy breakfast service outside at wicker café tables on our flagstone patio surround by tumbled stone planters full of fresh herbs and flowers or in our charming adobe dining room at our large community table where there is always an interesting conversation going on. Feeling romantic? We are happy to make a tray for you to take back to your room to enjoy. Don’t be afraid to ask!